One of the famous insurance providers, Raheja QBE offers plenty of attractive health insurance plans for individuals to choose from. 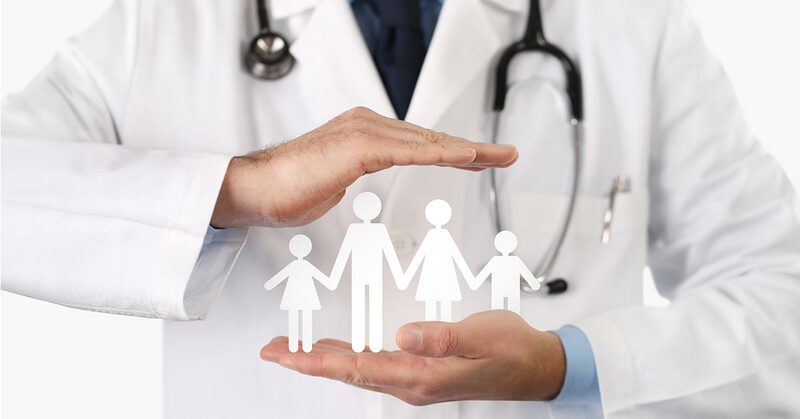 The firm offers discounts, organ donor benefits, in-patient benefits, hassle-free mediclaim settlements and a lot more to make it a preferred choice among health insurance providers. With the correct health insurance plan in place, one need not worry about expensive medical treatments and can focus on their loved one’s well-being. Pre & Post hospitalization cover- The plan covers medical expenses for 30 days & 60 days prior to hospitalization and 60 days and 90 days post hospitalization in the basic plan, super saver and a la carte plans. It covers 60 days pre hospitalization & 90 days post hospitalization in comprehensive plan and 90 only for related medical expenses. Inpatient benefit: Offers coverage for hospitalization & medical expenses or day care procedures including Medical Practitioner's charges, drugs and consumables, diagnostic procedures, anesthesia, blood, oxygen, operation theatre charges, Hospital Room Rent or boarding expenses, nursing charges, Intensive Care Unit (ICU) charges, surgical appliances, medicines, cost of prosthetics if implanted during Surgical Procedures subject to the sublimit on the, room category, ICU, room-rent etc. Claim Settlement Ratio: The incurred claim settlement ratio of Raheja QBE Health Insurance for F.Y. 2017 - 18 is 18.19%. 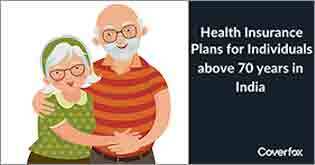 The plan covers medical expenses for 30 days & 60 days prior to hospitalization and 60 days and 90 days post hospitalization in the basic plan, super saver and a la carte plans. It covers 60 days pre hospitalization & 90 days post hospitalization in comprehensive plan and 90 only for related medical expenses. Offers coverage for hospitalization & medical expenses or day care procedures including Medical Practitioner’s charges, drugs and consumables, diagnostic procedures, anesthesia, blood, oxygen, operation theatre charges, Hospital Room Rent or boarding expenses, nursing charges, Intensive Care Unit (ICU) charges, surgical appliances, medicines, cost of prosthetics if implanted during Surgical Procedures subject to the sublimit on the, room category, ICU, room-rent etc. All forms of cirrhosis (cirrhosis due to alcohol will be permanent exclusion). Any pre-existing diseases would be covered only after a waiting period of 4 years and those specifically diseases which were declared during the policy inception as well as accepted at the time of proposal. Sexually transmitted diseases Genital Warts, Syphilis, Gonorrhoea, Genital Herpes, Chlamydia, Pubic Lice and Trichomoniasis, Human T-Cell Lymphotropic Virus Type III (HTLV–III or IITLB-III), Acquired Immuno Deficiency Syndrome (AIDS) whether or not arising out of HIV or Lymphadinopathy Associated Virus (LAV) or the mutants derivative or Variations Deficiency Syndrome or any Syndrome or condition of a similar kind. Any treatment taken from a non-medical practitioner or from a medical practioner who does practice on his own for self-medication. Any treatment and expenses incurred due to routine eye and ear examinations, artificial teeth dentures, and all other similar external appliances and/or devices whether for diagnosis or treatment. Any treatment that is caused due to sleep disorders or a syndrome, rest cure, nature cure clinics, private duty nursing, rehabilitation measures, general debility convalescence, cure, health hydros, sanatorium treatment, long-term nursing care, respite care, custodial care or any treatment undertaken in a place which is not a Hospital. Any charges incurred due to prosthesis, corrective devices, external durable medical equipment of any kind, such as belts, braces, wheelchairs, diabetic footwear, glucometer/thermometer walkers, ambulatory devices, collars, caps, splints, stockings of any kind, crutches, cost of cochlear implants, instruments used in treatment of sleep apnea syndrome (C.P.A.P) or continuous ambulatory peritoneal dialysis (C.A.P.D.) and oxygen concentrator for asthmatic condition etc. 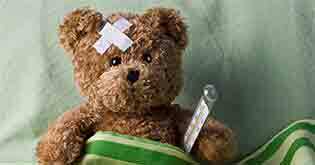 Circumcision done unless necessary for treatment of an Illness or due to an Accident. Treatment of stress, mental illness or any psychological disorders. Any items or services due to barber or beauty services, cosmetics, hygiene articles, baby care products, stuff of personal comfort not limited to T.V., charges for access to telephone and telephone calls (wherever specifically charged separately), foodstuffs (except patient’s diet), guest service as well as similar incidental services. War, acts of foreign enemies, hostilities, civil war, rebellion, revolutions, insurrections, mutiny, military or usurped power, seizure, capture, arrest, restraints and detainment of all kinds. Illness or Injury caused due to consumption or abuse of tobacco, intoxicating drugs and alcohol or hallucinogens. Any treatment taken in a clinic, rest home, convalescent home for the addicted, detoxification center, sanatorium, home for the aged, mentally disturbed, remodeling clinic or similar institutions. Any charges incurred to procure any medical certificate, treatment or Illness related documents pertaining to any period of Hospitalization or Illness except to the extent covered under Section h – Non-Medical Expenses (if applicable) under the Policy. Alopecia, wigs and/or toupee and all hair or hair fall treatment and products. Impairment of an Insured Person’s intellectual faculties by abuse of stimulants or depressants. Any medical or physical condition or treatment or service, which is specifically excluded under the Policy Schedule. 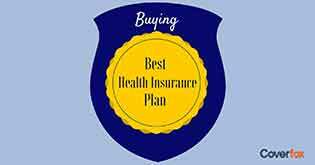 This is a very basic health insurance plan that has in-built health insurance benefits. This plan however doesn’t provide options for any add-on covers. This plan contains in-built health insurance benefits. The main feature is it offers add-on cover for Sub Limit Waiver. The plan covers medical expenses for 60 days pre hospitalization & 90 days post hospitalization in comprehensive plan and 90 only for related medical expenses. This plan contains in-built health insurance benefits. It offers Add-on covers for Co-Pay. 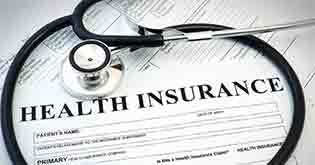 This plan offers in-built health insurance benefits. 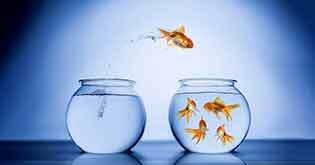 Here, you are offered a choice to choose your add-on as per your requirements. You may also change your plan if you wish to but only during renewals. The plan covers medical expenses for 30 days & 60 days prior to hospitalization and 60 days and 90 days post hospitalization in the a la carte plans. Raheja QBE has come up with a Cancer Insurance that would help you financially in case you get detected with the dreadful disease. You get adequate financial help to get cured in timely manner and lead a normal life. Any expenses incurred for diagnostic investigation or medical treatment of Cancer, in excess of 75% of the amount paid as a lump sum as stated above. Offers reimbursement of medical expenses only on submission of the original bills. This reimbursement of claims are made quarterly till the entire sum insured is exhausted. Offers reimbursement for medical expenses for pre-policy medical examination would be limited to 50% of actual expenses. Any injury, disease or illness caused by nuclear weapons. If the same is caused due to contact of the insured person with radiation from non-diagnostic or therapeutic source. 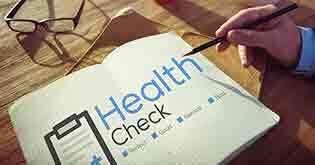 Raheja QBE Health Insurance has a well-defined claim processing system. Raheja QBE Health Insurance offers an array of reasonably priced health insurance policies. Their plans are made-to-measure to shield you against your mounting financial responsibilities towards your family during and after hospitalization and medical treatments. They boast of a very good claim settlement ratio amongst other private insurers. Their continuous efforts to offer excellent customer service is their ultimate performance. Hence, if you are scouting for an insurer who will deliver dependability, competence and brilliant post sales services in consort with the product.